Thank you for submitting your item for appraisal. This appears to be an art deco era faux jewelry pearl necklace. Pearl necklaces were very expensive before cultured pearls were available. For most people only pearl imitations from Gablonz were affordable. 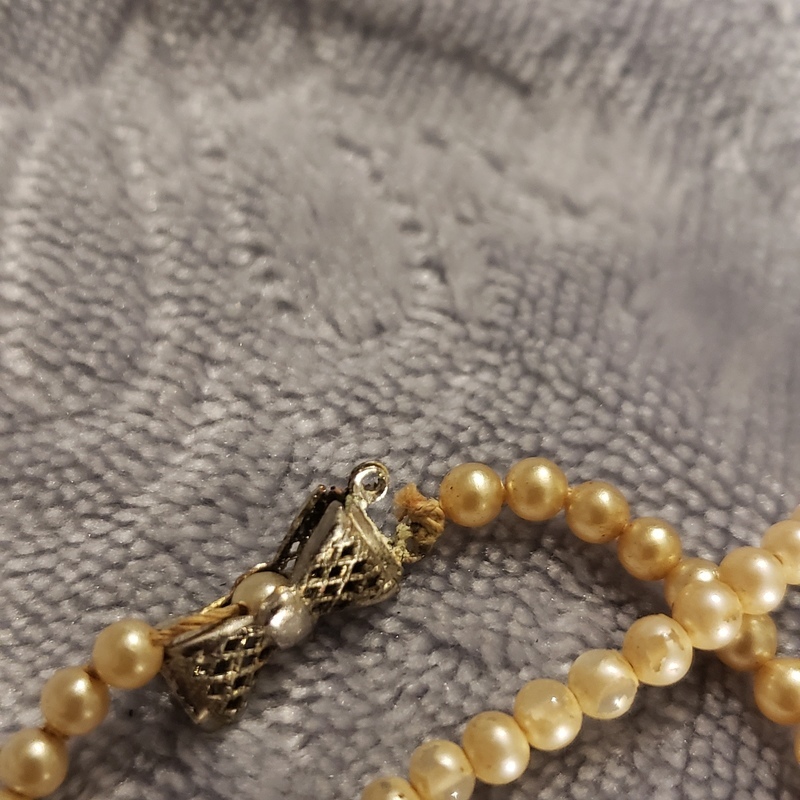 Some of the pearls on the necklace show small damages where the lacquer has flaked off the glass pearls. The estimate is based on similar sold at auction. There is no measurement for the sentimental value you might attach to the item.